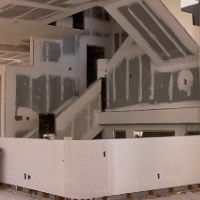 We carry a Drywall Specialty License enabling us to perform your interior drywall work with a variety of different textures from orange-peel to smooth-wall and specialty finishes. We have also done sound and bullet proofing as well as fire protection. 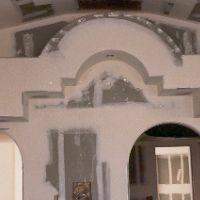 Our skilled professionals are able to install drywall on any walls, ceilings, shapes and angles. If you already have it framed, let Laser Frame Drywall Systems bid the drywall and drywall finishing. Copyright © 2008 Center Circle Construction Corp.